A unique passion arises when people come into contact with someone, that they have had interactions with in a previous life time. These are always soul mates or twin flame connections. Both come with strong and uncontrollable emotions. From the moment you both meet the connections can be odd, awkward, intense and confusing. If you have just met someone and any of these sensations start to act up, then it clearly means you have just met someone that you have deeper connections with. These connections will only come around 2-3 times a life time, so you do have to try and enjoy your time with your soul mate or twin flame, while you have the chance, in this life. Yes you heard right, we can have more than one soul mate or twin flame in a life time because we have interacted with so many people in many lives prior. First, let’s look at soul mates. Soul Mates are people that have an instant chemistry and they flow naturally well together, as if they have been sprinkled with a bit of magic. In this union the blending of the two minds can be harmonic. This love is truly amazing as your souls connect together and the journey begins to take you to a higher level. Once this happens, you two will never look at the world the same again. There is no turning back from this point on; life will be different, as these people are coming into your life for a reason. This reason is more about your soul’s journey. Next, we take a close look at twin flames. These connections usually have the same passions as soul mates except these connections are a little more intense. This is a fiery connection were feelings and emotions can be everywhere. In this union, the couples can get their feelings hurt very easy over unexpected things, like a coffee cup left out or split milk. This is because twin flames are like oil and water, they have all the desires and passions as soul mates but twin flames have more high intense problems with racing thoughts and anxiety’s. These connections are directly linked to things that have happened in a previous life. Finally, when it comes to the passions involving soul mates and twin flames they can be amazing. They can take you to your peaks of pleasure in this psychical life that you never knew existed. However, they can also make you question everything about yourself in times of crisis causing you to lose your own identity because you just don’t understand were these intense emotions are really coming from. In order for these connections to play a positive role in your life you really need to understand these emotions and were they are coming from. I suggest if you are experiencing any of these issues that you seek the help of a trained specialist like myself! 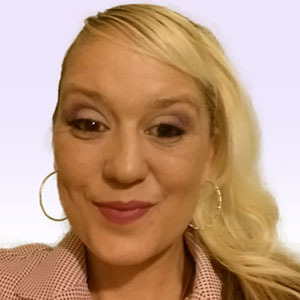 Shonda is a World Renowned Certified Psychic Medium that has been working with her gifts now 8 years. She is a expert in: love and relationships, life coach and family therapist, tarot, past life and angelic reader. She is a psychic investigator in real life and has the experience to help you with any challenges you may be facing in your life right now! Hi Shonda I would to know if this guy I like and think about a lot is my future soulmate. When I first met him I felt like he remind me of someone in my mind but i never met him before. Can you tell me as I have strong feelings for this guy. Heard you speak. Just felt like have to talk. How do I schedule a reading? What times/days are you free? Is there min time/cost? This entry was posted in Twin Flames, Uncategorized and tagged twin flames on May 2, 2016 by Shonda.